On this Wordless Wednesday we want to share this photo that we spotted on the Maine Dairy & Nutrition Council/Maine Dairy Promotion Board's website. 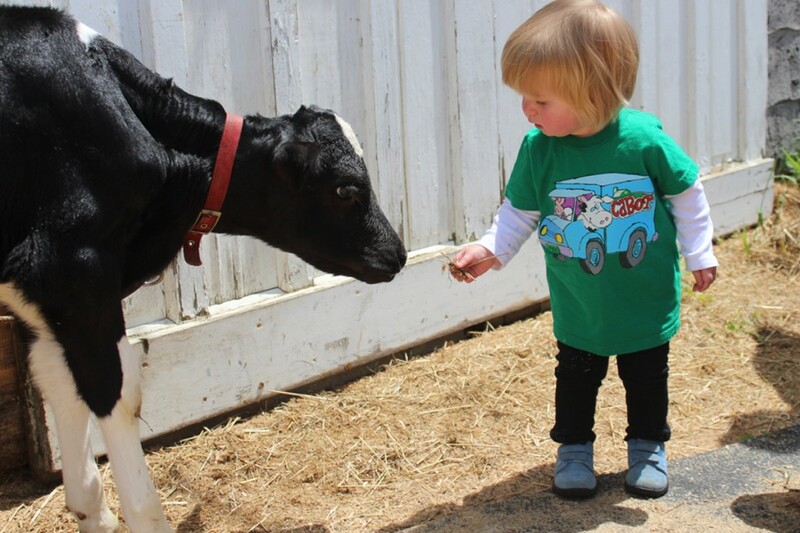 This cute #dairylove photo is part of an article discussing the contributions dairy farmers and dairy cows do for us. The bond between human and bovines starts early for many, like Emily on her grandparents dairy farm – Johnson Farm – in Kittery.